cheLLe – Icey Icing Icee!! ✿ cheLLe ✿ is welcoming Winter with two new makeups set! 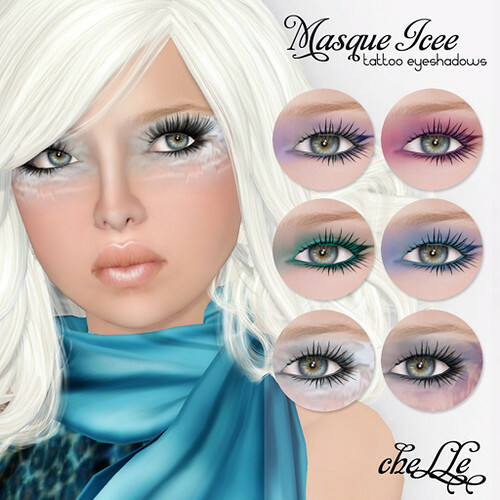 The Icey Icing and Masque Icee set is perfect for dressing up any skin to create a dramatic look. Wear these alone or mix-and-match with other tattoo layers! Hey, I just wanted to say I love your makeup lines! Thank you so much for making gorgeous makeups, and at such reasonable prices! Even if your blog wasn’t an amazing fashion blog, I’d keep it bookmarked just for your makeup updates.